For protection of the operator’s environment, RAM FLAT offers several standard and customized Air Filtration Systems for research and industrial applications alike. Individually designed to be used with any RAM FLAT Compactor model, the CRN and HANC Air Filter Systems will remove harmful particulate, dangerous vapors – or both. A minimum of 100 FPM (feet-per-minute) air velocity when the crushing chamber door is open, the same as a fume hood! Special Housings available including Bag-In/Bag-Out; Stainless Steel construction; Non-standard orientation to fit into existing space; Double-Charcoal housings. If it can be done – we can provide it. 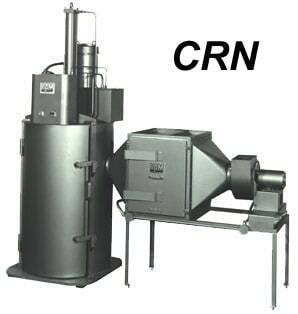 Featuring a full 4 square feet of Industrial grade HEPA (High Efficiency Particulate Absolute) filter elements, the CRN removes airborne particulate down to 0.3 micron in size at 99.97% efficiency. Engineered with eight removable trays of activated charcoal, the CRN-C effectively adsorbs odors and vapors. Options include elements for the collection of mercury or radioactive isotopes. 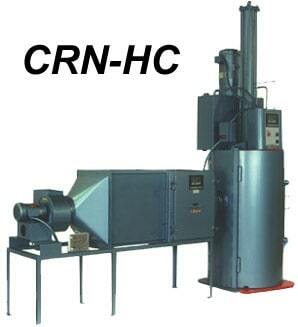 For applications calling for both particulate and vapor control, the CRN-HC situates the HEPA filter elements and eight trays of charcoal, in series for maximum protection. Designed to adhere to the ANSI-N510 standards, this nuclear grade filter system will handle the most demanding applications. Features include Bag-in/Bag-out, laminar flow, DOP testing ports and filter monitoring lights.